Thanks guys, the Fortified Manor is Hudson and Allen that I finished last month, any opportunity to get it out and play with it to be honest. 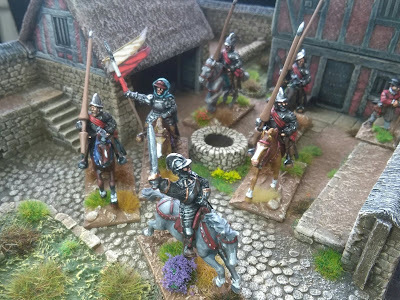 Great looking cavalry. Looking forward to your report on the first game. I have to say Charge the Guns so am I. Still a fair figures to get over the line but it should certainly be this first half of the year. Fingers crossed.